These longitudinal electromagnetic lifting magnets are used for lifting ferromagnetic bundles. Bundles have an irregular surface that makes lifting difficult. Longitudinal magnets have a deep-working holding field, so the magnet works well despite any surface irregularities. This ensures that the bundles can be transferred safely and without difficulties. 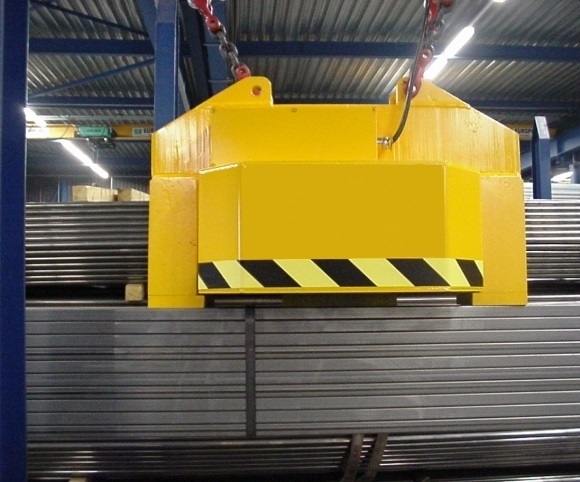 The use of exchangeable pole shoes also makes it possible to use the same magnet to lift loads with widely divergent shapes. These pole shoes also serve as wear plates. Depending on the length of the bundles, two or more magnets may be used. 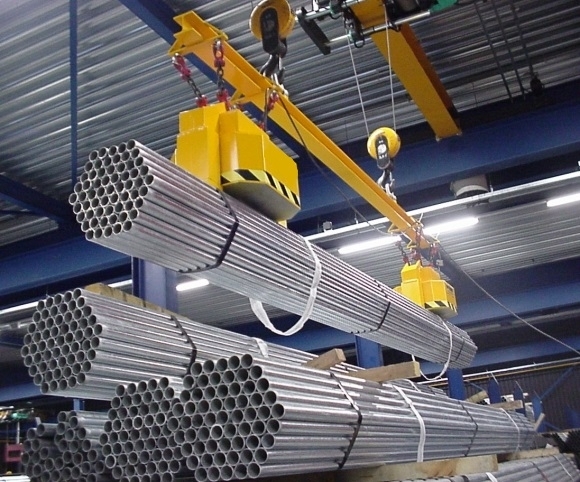 If the crane operates in areas where people may be present, the bundles must also be secured mechanically.